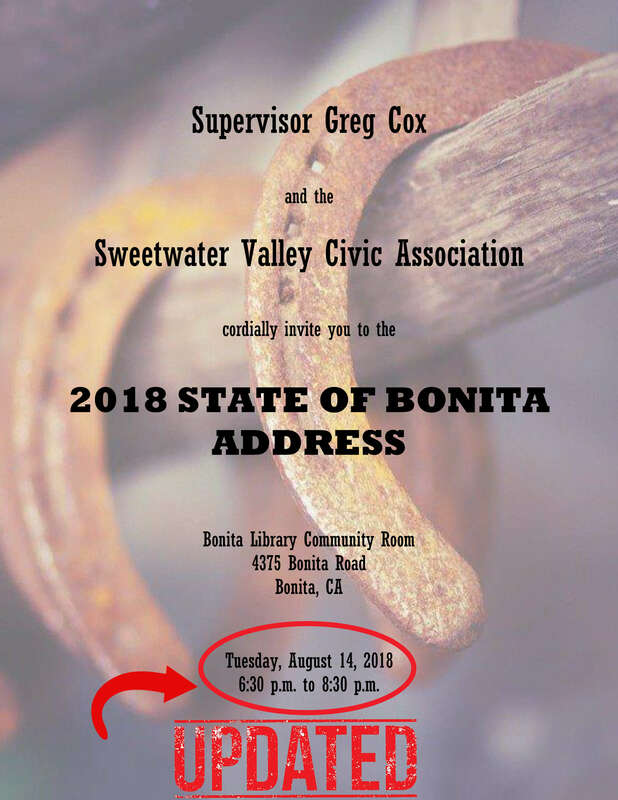 The SVCA will have the honor of hosting Supervisor Cox for the 2018 State of Bonita Address on August 14th at the Bonita – Sunnyside Library Community Room. Please join us at this meeting to hear valuable information from Supervisor Cox and other County Staff. This is also a great opportunity to have community safety concerns and other issues addressed.